On this page you will find free VST plugins created by me (Jonas Norberg) ,and some mp3 audioclips that show them off. The oldest plugin (whix) is from 2000 and the newest (Sniper) is from 2005. VST is a trademark of Steinberg Soft- und Hardware GmbH. I am not in any way affiliated with Steinberg. All plugins found on this page are freeware. You are free to use and distribute the plugs, but you can not charge anything for it. You use the plug-ins at your own risk. I can not be held responsible for anything bad that might happen. ZingerDx is a Polyphonic wavetable synt. 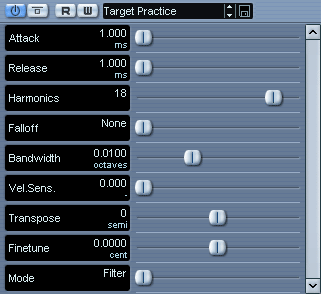 It is implemented as a VST2.0 plugin. 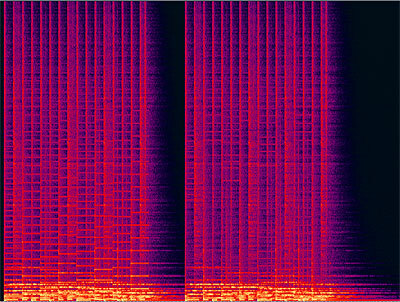 All sound is 32bit floating point internal (all VST plugins are) and I use linear interpolation, but nothing is done to remove aliasing noise (it is not that audible). Just copy the ZingerDx.dll to the directory where you other VST plugins are located. You probably have to restart your VST host. You need one audio track (preferably mono) and one midi track to use ZingerDx. Select ZingerDx as a insert on the audiotrack and turn its power on. On the midi channel, choose ZingerDx as output. That should be it. Now you should record some wovels and some midi. Dynamics. If this parameter is 1, the amplitude of the input audio is preserved (velocity still also controls the amplitude). If it is 0 only note on velocity controls the amplitude. Computer running Windows or MacOS. VST2.0 compatible host such as CubaseVST or Logic. FloatCrusher is similar to a bit crusher in the sense that they both reduce the resolution of the samples. The samples in all vst hosts are represented by 32-bit floats, this enables huge dynamic overhead compared to integers. FloatCrusher does not try to mimic the limitations of old hardware, it is designed to lower the resolution of floats in the most natural way, by just setting the lowest bits to zero. You can control how many bits you wish to clear with a slider. the clip contains one before-after pair. This plug contains 64 narrow notch filters controlled by midi. By default no filters are active. When a note-on is received a group of notch filters corresponding to the harmonic content of the note is started. In special circumstances this plug allows you to remove or attenuate specific instruments from a mix while leaving the other virtually untouched. the clip contains one before-after pair. A Sniper is used to remove only the melody. PlayDelay is a feedback delay where the delaytime is controlled via MIDI note on's. the clip contains one before-after pairs. PWMDrive is a saturator/softclipper/waveshaper with offset. I came up with the idea when reading about tube-amplifiers where the distorsion wasn't symmetrical around zero. I called it PWMDrive since, when maxed out, it can produce sounds similar to a pulse-width-modulated square wave. The waveshaping function is out = in/(1+in)). Actually its like that on positive x, and symmetrical around zero) I'm not sure if this is similar to a "real" tube, but it sounds great, if you have any suggestions on different shape-functions, that have similar (or less) cost, please let me know. An sweet-sounding oversampling option is provided, mainly meant to be used at mixdown-time, since it's rather expensive. the clip contains two before-after pairs. Firegain is a 3-band (soft-)clipper / shaper. I have a feeling that this is similar to a "harmonic exciter". Divide the signal into three frequency bands using box-filters. Applies soft clipping to each of the bands. Recombine the signals to create a final signal. It introduces a small (a few samples) delay depending on the lower frequency. Square-o-matic is made up from some pieces. Falloff this controls the env-follower. Cutoff follow this multiplies the range of the env-follower, you should adjust this depending on the amplitude of the signal. Lowest cutoff this offsets the range of the env-follower. Square-o-matic will try to create square waves from other waves. It works best on sond that are symmetrical. That is, the upper halve (above zero) of the wave is similar to the lower halve (below zero). The envelope follower detects the current amplitude, the attack is instantanious and the release is controlled by the Falloff knob. This means that if the Lowest cutoff is "1" the filter will always be open. If the material is quiet, the "Cutoff follow"-knob can be raised to enable the filter to open. Square-o-matic produces aliasing noise. So handle width care. Thanks alot to Sophia Poirier of destroyFX fame for bringing square-o-matic to the mac. Whix is made up from five simple pieces in a chain. You can control the cutoff of the filters and the gain. The cutoff is not entered in Hz but as number between 0.0 and 1.0 where 1.0 means that everything gets through and 0.0 means that nothing gets through. The gain is entered as dB as usual. The dB number may look high, but remember that the preceeding filter makes the signal more quiet. Whix produces aliasing noise. So handle width care. Mac version 1.2 (20k .sit) Added the last gain-control. Windows version (46k .zip) Added Envelope follower.